The Shiny Vampire Club: New Moon Soundtrack Preview! Click HERE for a preview of Death Cab For Cutie's new song that will be on the New Moon Soundtrack- what do you think for the sound? I'm a HUGE fan of Death cab's.... so of course I am going to like whatever they make. I like that this soundtrack is digging a little deeper for music than Twilight did. I wasn't a fan of the whole Paramore thing. lol ... Agree with Kaitlyn. I think the new song sounds interesting...of course the preview ended RIGHT when it sounded like it would get good! bummer! umm I just read somewhere that Radiohead will be on the soundtrack as well. This better not be a joke. Did anyone other than me watch the Vampire Diaries last night? Yes? No? 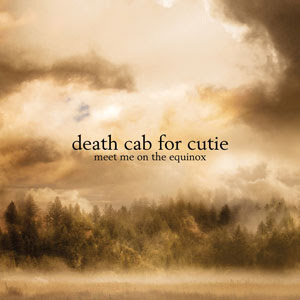 Did anyone watch the premiere of Death Cab's video for "Meet Me on the Equinox" ??? I haven't seen it yet, but I did illegally download the song. Haha! It's VERY twilight-esque to me.